May Astromusings – Uranus in Taurus, Mars in Aquarius, New Moon in Taurus, Full Moon in Sagittarius, Happy Birthday Geminis! Have you ever met a Gemini? Happy Birthday to all the Geminis who celebrate their birthdays between May 21 and June 20. Gemini is one of the three air signs along with Aquarius and Libra. Air is the element which refers to mental qualities. Gemini is one of the four mutable signs indicating the flexibility and changeable quality of Gemini. The others being Virgo, Sagittarius and Pisces. Gemini is the Latin word for twins which indicates their dual nature. The Gemini can be of two minds or is sometimes believed to have two or more personalities. In Alan Oken’s book, ‘Alan Oken’s Complete Astrology’, he elaborates on the twin symbology. Among its many meanings, the glyph for Gemini symbolises the two pillars. In ancient times, the Twins were the guardians of the doorways and entrances. Pairs of gods can often be seen at the gates of Babylonian, Assyrian and Egyptian temples. They are often depicted as siblings. The Twin symbology also pervades Eastern mythology. In the ancient Indian epic the Mahabharata where there are two brothers, Sunda and Upsunda who are said to live together and are incapable of being slain by anyone unless they slay each other. In the Ramayana, Rama, the great Indian saint, also has a twin brother. Examples of twins also abound in the Old Testament but one myth about twins which is very significant is the Greek legend about Castor and Pollux because it links up with the constellation of Gemini of the same name. 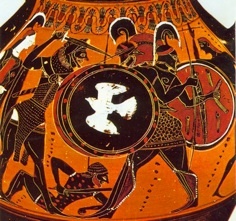 Castor and Pollux avenged the carrying off of their sister of Helen of Troy. Leda, the mother of Castor and Pollux, was seduced by Zeus/Jupiter, this time in the guise of a swan. From this union she gave birth to two eggs – from one came Helen and from the other came Castor and Pollux. There was some confusion and scandal about Castor’s real father, for he was mortal, while Pollux, on the other hand was an immortal, the true son of Zeus. 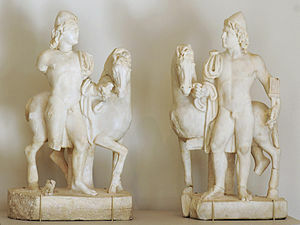 Homer describes Castor as the tamer of horses, and Pollux is the immortal boxer, one who uses his hands and is fleet of foot, which typifies the Gemini. Castor is killed in battle, and Pollux, in great despair prays to his father to let him also die. Zeus responds by taking them both in the sky as the constellation of Castor and Pollux. Homer writes “They possess their life in turn, living one day and dying the next and they have gotten worship as gods” The keynote for Gemini, esoterically, is: ‘I recognise my other self and in the waning of that self I grow and glow.’ Alice Bailey comments that it is an astronomical fact that the star, Castor, is waning in brilliancy, while Pollux, the immortal brother, is waxing in brightness and eclipsing his brother. Pollux represents the soul while his mortal brother represents the personality. 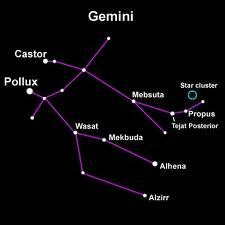 Alice Bailey has the following to say about the constellation of Gemini: Gemini has in it two stars Castor and Pollux, the Twins. These personify two major groups of stars, the Seven Pleiades, and Seven Stars of the Great Bear, which are two constellations, in the north, around which our universe seems to revolve. She writes these two groups of stars the Pleiades and the Great Bear represent God, the macrocosm, whilst in Gemini, Castor and Pollux were regarded as symbols of man, the microcosm. Alan Oken adds: The most notable asterisms are the two great stars which bear the names of the Twins, Castor and Pollux. Castor, befitting the nature of Gemini, is really two closely placed white stars which revolve around each other. This phenomenon is called as “binary system” by astronomers, as the two stars seem to revolve around a common centre of gravity. Pollux is somewhat brighter than his brother and is orange reddish in colour. These stars lie only four and half degrees from each other and between the were long known as the sole representatives of the entire constellation. (They were called the “Mas-mas” or Twins by the ancient Assyrians.) In time the brothers grew and many more stars were added to complete their portraiture. The ecliptic divides the Twins at the middle; their heads (Castor and Pollux) are above and are posited between the left claw of the Crab and the whip of Auriga, the Charioteer. Their feet just touch the Milky Way, above the upraised arm of the great constellation of Orion, the Hunter. The Twins are usually depicted as bound together by each other’s arms. We can gain insight into the Geminian nature by studying the myths of Mercury and his alter ego Hermes. Howard Sasportas, in the book ‘The Inner Planets’, co written with Liz Greene illuminates one on the role of Mercury. Mercury was conceived of an illicit union between Zeus, the King of the gods, and a mere mortal called Maia so he was born out of deceit. As the story goes he was already into great mischief even when he was still a baby in his cradle. He stole his older brother Apollo’s cattle, and by leading them out backwards made it appear as if the cattle were going in the opposite direction. When his older brother accused him of stealing his cattle he acted as if butter wouldn’t melt in his mouth. He also fashioned a lyre out of a tortoise. When he plays this instrument he charms Apollo out of his anger and he makes a deal with Apollo. In return for teaching him the lyre, Mercury must be allowed to share Apollo’s patronage of the cattle. The resourceful bargaining qualities of the Gemini nature are mirrored in Mercury’s actions. Apollo agreed to this on the condition that his miscreant younger brother swore an oath. When Mercury complied Apollo made Mercury the patron of oaths and solemn pledges and he also bestowed upon him the gift of the caduceus, a magic wand with two snakes wrapped around it which becomes one of Hermes’ most famous symbol and is an emblem of the medical profession. 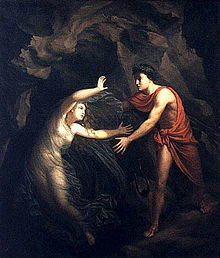 Mercury is Zeus’ personal messenger and is often used to rescue others from danger. He is also a magician and charms Cerberus, the ferocious three headed dog who guards the Underworld, so he can slip in and out of the Underworld unnoticed. He is a master of magic words and magic formulas in much the same way the Gemini can charm their way out of tricky situations with their gift of the gab. The derivation of the Greek word, ‘Hermes’, is he of the stone heap, a place where travellers would stop and talk, and eventually where commercial deals took place and magic and rituals were performed hence Mercury’s rulership over commerce, transport and short distance travel. Hermes was known as the god of crossroads, borders and transitions. There is also a figure in alchemy called Mercurius which represents both the transformer and the thing which needed to be transformed. To sum up then, the agility, versatility and ingenuity of Mercury, also known as quicksilver, is very evident in the Gemini individual. In the human body Gemini rules the bronchial tubes and lungs, the shoulders, arms, hands and fingers. Kali mur., the Gemini Salt, is essential for the formation of fibrin. Every tissue and organ of the body, with the exception of bone, contains fibrin. Man’s whole garment of flesh is built upon the foundation of filaments or fibres. There is an infinitely fine network of these tiny fibres, all branching off from one another, forming the framework, as it were, upon which the tissues are built. This includes also the skin, glands and nerves. Symptoms arising from lack of Kali mur. are catarrh, congestion of bronchial tubes, swollen glands, mumps, sore throats, enlarged rheumatic joints, and swollen tonsils, all children’s diseases where there are exudations through the skin, such as measles, chicken pox, scarlet fever, etc., for these are all disturbances of the fibrin. All cases of a very white tongue and sluggish liver and constipation, and all congestion and swellings need Kali mur. Geminis live on their nervous energy and most of their illnesses are of a nervous character. Therefore, it is vital that they learn to switch off their busy minds and relax. Plenty of sleep and proper breathing exercises would be very beneficial for them. Gemini rules the colour yellow and also they responds well to the healing orange ray. The birthstone for Gemini is agate, the multi coloured stone and the metal is Mercury in keeping with their quicksilver personality. A homeopathic remedy beneficial for Gemini is Byronia used in the treatment of colds, flu and headaches. Healing aromatherapy oils which will help to promote calm for the excessive nervous energy of the Gemini include bergamot, lavender, lemongrass and lily of the valley. The healing musical note for Gemini is A. Diet for Gemini should include plenty of fresh fruit and vegetables especially orange coloured foods such as oranges, peaches apricots, pink grapefruit, etc. which help decongest the lungs and prevent mucous. Mucous forming dairy products and salt should be avoided. Carrot juices and legumes such as lentils are also beneficial. Mercury, the ruler of Gemini, has dominion over communication, writing, teaching, and short distance travel. Geminis are attracted to careers which utilise their great mental skills, wit and eloquence such as teaching, lecturing, politics, music, media, journalism, advertising, public relations, publishing, astrology, technology, finance and sales. Famous Gemini writers include Arthur Conan Doyle, Ian Fleming, Thomas Hardy, Anne Frank, Colleen McCullough, Judith Wright, Salman Rushdie, M Scott Peck, Patrick White. Poets of note include W.B Yeats, Walt Whitman, Federico Garcia Lorca, Alexander Pope, Alexander Pushkin. Queen Victoria who wrote two best selling memoirs Leaves from the Journal of Our Life in the Highlands was a famous Gemini. Geminis are not only agile mentally but also physically as this impressive line up of champion tennis players confirms – Novak Djokovic, Rafael Nadal, Bjorn Borg, Venus Williams, Kim Clijsters, Lindsay Davenport, Steffi Graf and Anna Kournikova. Flynn, Rudolph Valentino, Joan Collins, Marilyn Monroe, Michael J. Fox, Isabella Rossellini, Kristen Scott Thomas, Hugh Dancy, Geoffrey Palmer, Christopher Lee, and Johnny Depp. Australian Gemini actors of note include Jason Donovan, Jacki Weaver, Frances O’Connor, Nicole Kidman, Anna Torv, Sophie Lowe, Pia Miranda and Gia Carides. Media personalities include Elsa Maxwell, Hedda Hopper and Joan Rivers. Gemini as is Jeremy Corbyn the Leader of the UK Labour Party. The science of astrology has also attracted its share of Geminis including Lois M. Rodden, Grant Lewi, Alexander Ruperti and Francoise Gauquelin, the French woman statistician and psychologist, who along with her husband Michel, set out to disprove astrology but instead ended up being some of its strongest exponents. The astronomer and best selling author Dava Sobel featuring prominently in the 2012 Sydney Writers’ Festival is also a Gemini. Saturn, known as the Lord of Karma, is still moving through your joint finances sector so you need to take responsibility for your joint finances and taxes. Uranus, the planet of sudden change, has just moved into your spirituality sector which could add an unpredictability to this area of your life. Your ruling planet, Mercury, will pay a visit in Gemini from 30 May to 12 June facilitating communication and networking. The extended cycle of spiritual Neptune in your career sector encourages you to pursue your creative and spiritual aspirations. Dynamic Mars will be in your relationship sector from 27 January until 17 March 2018 which will give you the impetus to deal with any your relationship issues but you need to be aware that marital disputes could flare up. Mercury, the messenger of the gods, will pay a visit to your relationship sector from 13 December 2018 to 5 January 2019 facilitating communications in your primary relationship. Planetary visitors, Mercury and Venus will activate your domestic sector. Mercury will visit your domestic sector from 7 – 22 September facilitating communication with family members. Gentle Venus will grace your domestic sector with her presence from 11 July to 6 August bringing harmony on the home front. The focus will be on your romance and children sector with visits from Venus and Mercury. Venus will grace your romance and creativity sector from 7 August to 9 September which should bring pleasurable romantic encounters, enhance your personal creativity and relationships with your children. Your ruler, quicksilver Mercury, pays a visit there from 23 September to 10 October affording you an opportunity to initiate conversations with your children and romantic partners while bringing a sense of fun to your relationships with children or affording you an opportunity to explore your inner child. Neptune, the planet of spirituality, continues its passage through your 10th house of career. This cycle will emphasise the spiritual and creative side of your career. Your interactions with your colleagues will be motivated by altruism and sensitivity. 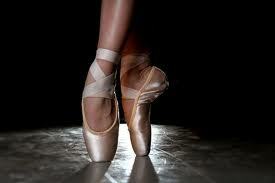 You may be drawn toward pursuing a spiritual or artistic career. You may even experience confusion about what career to pursue. Ultimately, Neptune may beckon you toward a career of selfless service. Jupiter is currently moving through your work and health sector. From 9 March to 10 July Jupiter will be in its retrograde phase turning the energy inward. From 10 July onwards when Jupiter turns direct Jupiter’s energy should be beneficial in these areas of your life. Your travel and education sector will be highlighted with the karmic South Node and two eclipses – the first eclipse is a solar partial eclipse on 15 February and the second one will be a total lunar eclipse on 27 July. Dynamic Mars will pay two visits to your travel sector from 17 May to 13 August and then again from 12 September to 15 November. Part of Mars’ visit here will be in its retrograde phase from 27 June to 13 August, turning the energy inwards. Quicksilver Mercury will be there from 1-18 February activating this area of study and travel making it an ideal time to undertake a study tour. Your finance sector will be highlighted with a partial solar eclipse which occurs 13 July. Two planetary visitors will be Mercury and Venus. Quicksilver Mercury which rules commerce pays a visit to your finance sector from 13 – 29 June facilitating communication and networking with your business dealings. Venus which rules finance graces your financial sector with her presence from 20 May to 13 June. Pluto, the planet of transformation, continues it sojourn through your debt and taxes sector which would act as a catalyst for you to transform this area. Chiron, the wounded healer, has moved into your eleventh house of friends groups and goals. Gentle Venus pays a visit to your social sector from 7 – 31 March bringing harmony to your friendships and opportunities for pleasurable socialising. Mercury will pay a visit to your social sector from 7 March to 13 May facilitating communication and networking in your social circles. Your third house of siblings, neighbours and short distance travel is highlighted by the karmic North Node and two eclipses – the first eclipse is a total lunar eclipse occurring 31 January and the second one occurs on 11 August 2018. The focus will be on retreat and contemplation when your 12th house of spirituality, karma and seclusion is activated by a visit from Mercury from 17 May to 6 June. Venus follows close on the heels of Mercury gracing your spirituality sector with her presence from 7 June to 5 July. You may be inspired to spend time in a retreat or health farm nourishing body, mind and soul. It is an ideal time to keep a dream journal exploring the realms of your unconscious yearnings or take up meditation, yoga or martial arts to find extra meaning in your life. It is a time to protect your boundaries so that you can recharge your batteries and feel rejuvenated. The mover and shaker, unpredictable Uranus, moved into Taurus on 16 May on the same day that feisty Mars entered Aquarius. These two planets will form a square which creates a volatile energy and an impulse to rebel and break free from restrictions. On the global scene we can see the escalating conflict in Israel on the 70th anniversary of the formation of Israel as over 60 dispossessed Palestinian demonstrators have been killed and thousands more have been wounded by the Israeli soldiers. North Korea’s Chairman Kim Jong-un suddenly pulled out of talks with South Korea and went further threatening to cancel the summit with Trump scheduled for 12 June in Singapore if the US pushes for a one-sided deal. There was a tectonic shift in politics in Malaysia with the incumbent party was defeated in the federal elections by former prime minister, Mahathir Mohamad, 92, last week after a stunning upset vote, defeating not just his former protégé, but the very party he helped create. Motivated by a desire to oust Prime Minister Najib Razak, the scion of a political family who was embroiled in a multibillion-dollar corruption scandal, Malaysians voted in record numbers. One day he is in prison. The next, Anwar Ibrahim is Malaysia’s leader-in-waiting. In a historic week in Malaysian politics that shocked the nation, the ruling party was kicked out of office after more than 60 years in power. Anwar Ibrahim, after being granted a royal pardon was released from prison after serving five years on charges that were widely seen as politically motivated. Anwar born 10 Aug 1947 Bukit Mertajam Malaysia (time unknown) is currently experiencing a Jupiter Return which coincides with his being liberated. The vanquished former Prime Minister Najib Razak who under investigated for widespread corruption has less favourable transits with transiting Pluto squaring his Saturn and Neptune and transiting Uranus square his Sun. The Plutonian energy undermines his authority while the Uranian brings sudden change toppling him from power. More than 100 people have died after a Boeing 737 airliner crashed near Cuba’s main airport in Havana, the country’s worst air disaster in decades. Three women were pulled alive from the wreckage, but are said to be in a critical condition. The plane, which was nearly 40 years old, was carrying 105 passengers and six crew members. Cuban authorities have launched an investigation, and two days of national mourning have been declared. Taurus also represents the Earth and with the volatile Uranus Mars combination we have seen eruptions of the volcano in Hawaii. A massive plume of ash rising from Hawaii’s Kilauea volcano prompted a warning yesterday to pilots planning to fly over the area. The eruption isn’t just dangerous to people on the ground anymore — it could also bring down planes. The New Moon at 24 degrees Taurus 36 occurs on 15 May at 9.47 pm AEST Sydney time. Taurus is one of the triplicity of earth signs representing our finances, material possessions and our security needs so there will be a focus on these issues, especially with the entry of Uranus in Taurus. The New Moon is a time for setting our intentions which culminates at the Full Moon. There will be a Full Moon at 8 degrees Sagittarius 10 on 30 May AEST Sydney time. Sagittarius represents freedom, travel, philosophy, the law and higher education so these issues may come into sharp focus. February Astromusings – Happy Birthday Pisceans! Happy birthday to all the Pisceans, who celebrate their birthdays between February 18 and March 20. Pisces, whose symbol is the two fish swimming in opposite directions, is one of the three water signs. 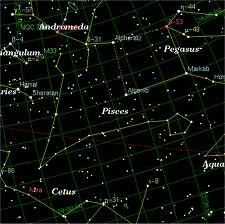 Pisces is one of four mutable signs the others being Gemini, Virgo and Sagittarius. Soulful Neptune continues it sojourn in its home sign of Pisces bringing spiritual upliftment and creative inspiration for all Pisceans. Neptune will be in your home sign of Pisces until January 2026 when it will change signs moving into Aries. Sometimes you may feel a bit lost or confused as if you have lost your moorings but your ruling planet Neptune is beckoning you to attune to your highest spiritual and creative potential. Saturn is continuing its sojourn through your career sector and will be there until December 2017. This will bring more hard work and responsibility and a certain gravitas. Your work and health sector is highlighted by two eclipses – a lunar eclipse on 11 February and a solar eclipse on 21 August. The karmic north node which charts your destiny is in Virgo and is also continuing its sojourn through your relationship sector. Other cosmic visitors that will be in your relationship sector are Mercury, Venus and Mars. Quicksilver Mercury will be there from 26 July until 10 September facilitating communication in your relationships. However, part of Mercury’s stay there will be in retrograde motion from 13 August to 4 September which could bring confusion and misunderstandings. Feisty Mars will make its presence felt in your relationship sector from 6 September to 22 October giving you the impetus to assert your needs in your relationship. Gentle Venus will grace your relationship sector with her presence from 21 September to 14 October bringing harmony and romance to your relationships. Unpredictable Uranus continues its journey through your 2nd house of finances, possessions and values. This brings both uncertainty and excitement to your financial life. It encourages you to be innovative to develop your own unique approach to managing your finances rather than going with the status quo. 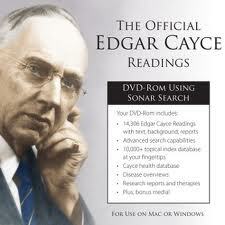 You may use your ingenuity to devise your own money-making schemes. Jupiter moved into your debt and tax sector in September 2016 and will remain there until 10 October 2017. Part of Jupiter’s passage here will be in retrograde motion from 6 February 2017 to 8 June 2017 so you need to take care with your budget and taxes. Dynamic Mars will be in your domestic sector from 22 April to 4 June imbuing you with plenty of energy to deal with family matters and assert your needs. Communicative Mercury will pay a visit to your domestic sector from 7 to 21 June giving you an opportunity to network with your family and have any conversations on family matters. Venus graces your domestic sector with her presence from 6 to 31 July making this an ideal time for any family get togethers. Quicksilver Mercury will pay a visit to your travel and education sector from 18 October to 5 November facilitating communication here. Feisty Mars pays a visit to your travel and education sector from 10 December 2017 to 26 Jan 2018 imbuing you with energy to pursue these areas of your life. Venus will grace you with her presence from 8 November to 1 December which would be an ideal time for a romantic getaway or pleasure cruise. Powerful Pluto continues to make its presence felt in your eleventh house of friends, groups and goals causing you to make radical changes in this area of your life. Your power and influence will be felt in groups situations. You may act as a catalyst for change for your friends or there may even be some power struggles resulting in a friendship coming to an end. You may radically alter your goals including your life purpose as Pluto’s impact is felt here. Venus graces your friendship sector with her charming presence from 26 December 2017 to 18 January 2018. This should promote affection and harmony in your social circles and group activities. Your spirituality sector will be highlighted by a partial lunar eclipse on 7 August 2017. A solar eclipse aligns with karmic South Node in your solar first house on 26 February.